The usual way is by filing a case at a court of law against the associated lenders who you feel wrongly blacklisted you.This however proved too expensive and takes years.The Constitution of Kenya 2010 introduced the use of Alternative Dispute Resolution (ADR) forms to access justice. 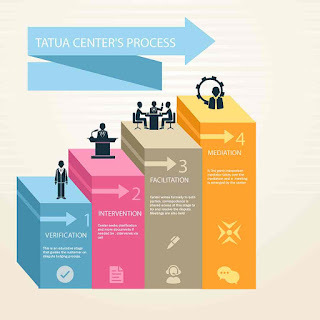 This is why the Credit Information Sharing (CIS) set Tatua Centre ,a Constitutional recognized form of Alternative Dispute Resolution (ADR). Tatua Centre ,located at the Kenya School of Monetary Studies (KSMS), mediate issues between Credit providers like banks, MFIs and individuals who have been adversely listed by CRBs. The Centre however, doesn't cover all complaints from consumers adversely affected by CRB listing. Tatua Centre caters for disputes associated with information about a credit consumer stored by CRBs that is inaccurate,erroneous or outdated.